Prof. Angelo Raffaele Meo has been Full Professor of Computer Science at Politecnico di Torino since 1970. He was the head of "Centro per l'Elaborazione Numerale dei Segnali" at CNR, director of the "Progetto Finalizzato Informatica" (1979-1985) and scientific director of "Centro di Supercalcolo Piemonte" (1991-1996). He is president of the Academy of Sciences of Torino. In 2002 he was called by the Italian Minister of Technology to preside at a Commission entrusted with the task of promoting open source in the Italian Public Administration. Carlo Piana is a lawyer by training and a Free Software advocate. A qualified attorney in Italy, Piana has been practicing IT law since 1995, focusing his practice on software, technology, standardization, data protection and digital liberties in general , and serves as external General Counsel to the Free Software Foundation Europe ("FSFE"). Michel maintains a busy practice in both corporate and technology matters throughout Western Switzerland. Michel is experienced in all typical corporate transactions, acting for entrepreneurs, buyers, sellers, investors and financial sponsors in mergers & acquisitions, private equity deals (including management and leveraged buy-outs), venture capital investments, debt financing arrangements and exits. He is regulary involved in crossborder transactions, as lead or local counsel, in multiple industries and sectors (retail, finance, travel, food, equipment, entertainment, luxury, watchmaking) with a special expertise in Internet and technology deals (IT, online media, web, biotech and cleantech). Michel also frequently assists entrepreneurs and investors in multiple equity financing rounds for startups and fast growing SME companies, and provides shareholders, top management and board members with strategic and legal advice on shareholders' agreements and disputes, board governance and liability, and restructuring and refinancing schemes. Michel's extensive technology/IP practice covers regulatory advice in IT, internet, telecoms / VoIP, liability of online media matters and drafting and negotiation of typical technology agreements (software development and licenses, SaaS, OEM/VAR/ASP, cloud computing). Michel regularly negotiates complex outsourcing agreements and migration projects as well as R&D joint venture and technology spin-offs. He also frequently assists clients in intellectual property law (technology & know how transfers, on line content protection, trademark and domain name disputes, branding & advertising strategies), data protection compliance and Free and Open Source Software (FOSS) licensing and Open Access / Creative Commons initiatives. Member of the Jury for the 2010 edition of the Strategis Prize, awarded to promising startups in Western Switzerland by HEC Lausanne University. 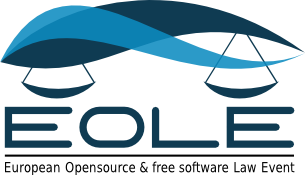 Member of the European Legal Network of the Free Software Foundation Europe and of the editorial committee of the "International Free and Open Source Software Law Review". François ELIE, professor of philosophy, computer scientist amateur, is the ADULLACT co-founder and president. He is also AFUL vice-president. He published at Eyrolles in 2009 "Economie du logiciel libre" (free software economy). His cause is those of mutualisation of customers. I has two formulas: "a free software is free when it has been paid" and "public money should pay only once". ADULLACT is a pionner association gathering mainly French local authorities, who gave itself for vocation to develop a patrimony of administrative free softwares on public funds. It opened a forge, Adullact.net, and gave the idea of European forge osor.eu.